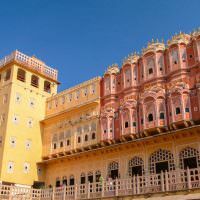 Ever since our last trip, and ever since reading Eat, Pray, Love, I have been interested in spending some time in an Ashram and doing yoga in India. We were heading back to India, one of our favourite countries. A country where around each corner there lies something different; a place where cows and monkeys rule the roads; and a country where food and community are first and foremost. This would mark our third time in India and like each time before, it was full of life changing surprises. 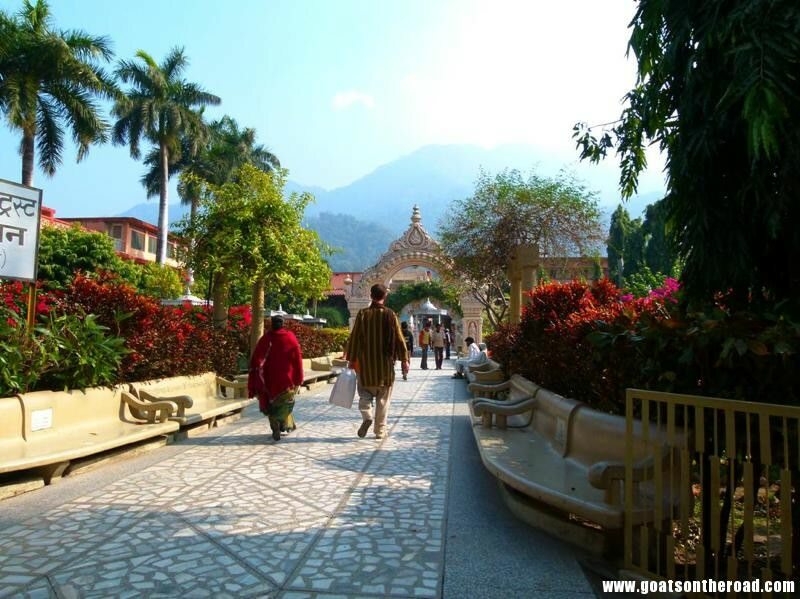 The Town of Rishikesh is regarded as the Yoga Capital of the World. 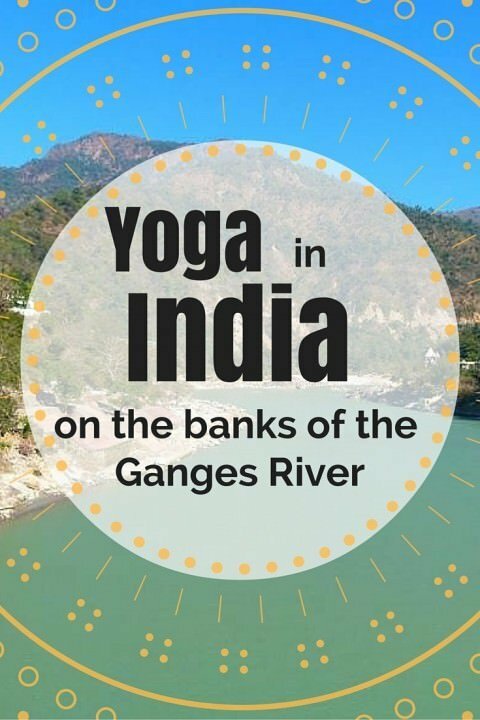 Its yoga, ashrams, meditation, different styles of massage, healings and healthy ways of life are all reasons for coming to this beautiful town alongside the banks of the Ganges River. 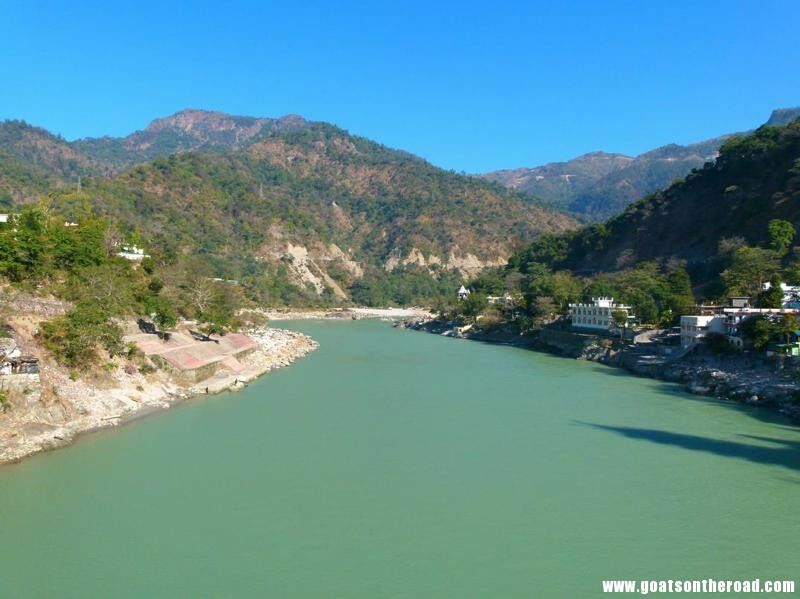 If you’re interested in not only participating in yoga, but taking a Yoga Teacher Training course, check out the highly rated Rishikul Yogshala school. The school originated in 2010 and is registered with Yoga Alliance USA as well as Yoga Alliance International. Choose between 200, 300 or 500 hour courses! Click here for more details. In fact, the Beatles also stayed here in an Ashram during the ’60s, where they wrote The White Album, arguably their best record. We chose Parmarth Niketan with its residing Guru, Pujya Swamiji, as the Ashram we would spend the next 3 weeks at. We arrived on December 29th in time for the New Year Meditation Retreat. That was a 4 day course which included, well, meditation! We spent those four days learning how to calm our minds (no small feat), attending fire ceremonies on the banks of the Ganges River and getting to know everyone. Our days were full, but would become even busier when the Yoga Course started on January 2nd , at which time we would be spending nearly 9 hours a day immersed in yoga related activities. We lived, ate and breathed the Ashram for the entire time we spent there. 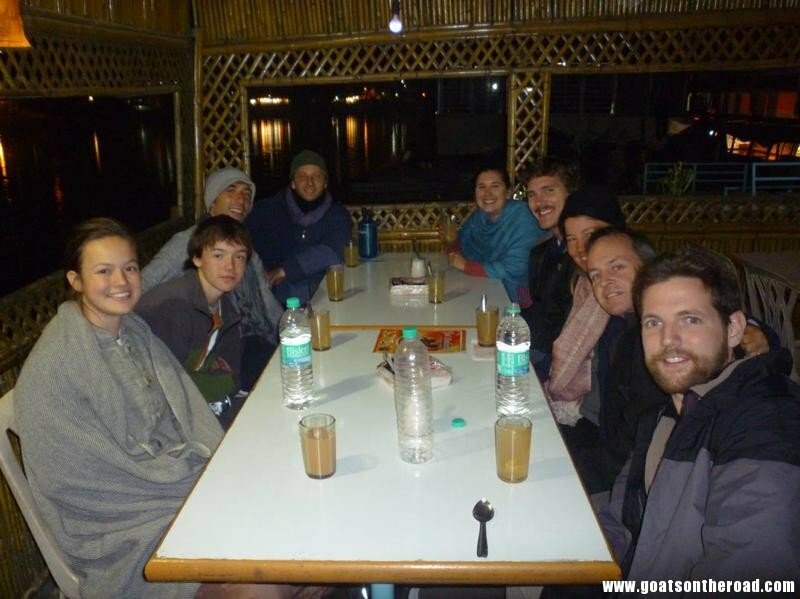 We were up at 6:00am each day for pranayama (breathing) class, morning yoga, vedic chanting in Sanskrit, question and answer, intuitive readings, afternoon yoga class, guided meditation, fire ceremony on the banks of the Ganges, speaking and learning from the Guru and late night silent meditation. 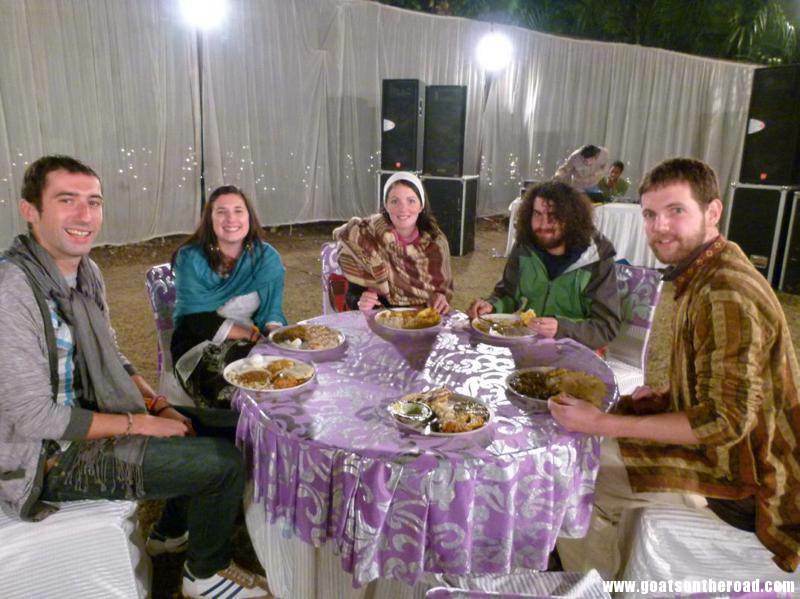 In between all of this, we ate our meals at the Ashram. The meals were blessed and were eaten in silence. We enjoyed having a jam packed time table of spiritual endeavours, physical strengthening and mental stillness. The yoga and meditation teachers were amazing: Shalom and Rhamia from the United States and Sapna from England. We couldn’t have asked for a better group of people to experience all of this with. There was just a small group of us in the course – a 30 year old couple from England (travelling for 20 months), a family of four from the United States who are travelling the world for a year (the kids are 14 and 16…going on 25) and a solo 25 year old male traveller from the United States (travelling for about a year). All of us got along so well and we were a little ‘crew’ for that 3 weeks. On top of all the learning and growing (both physically and mentally), there were more activities! 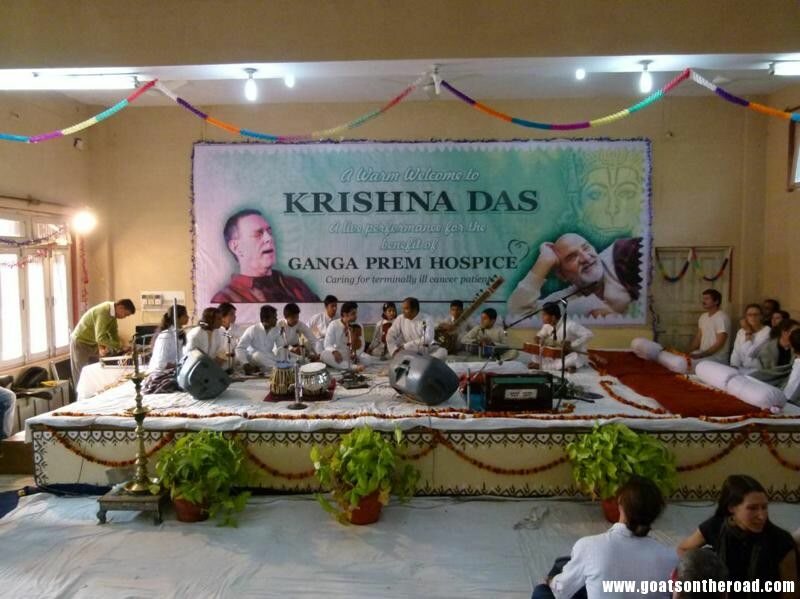 When we were last in India, we fell in love with a singer/chanter named Krishna Das. 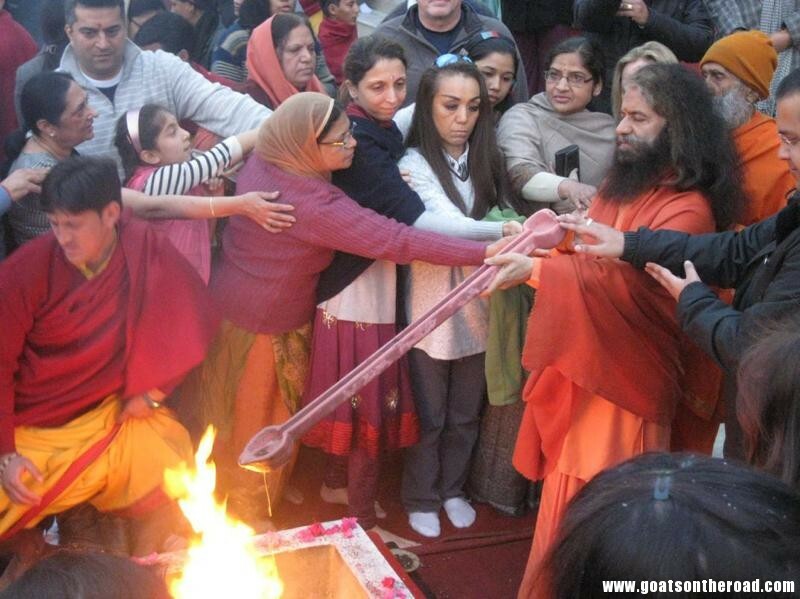 Of course, when we get to the Ashram, there was a huge advertisement saying that he was going to be playing at Parmarth Niketan on January 2nd. It was so perfect. Not only was he playing at our Ashram (there are many in Rishikesh), but we were able to get into the concert for free because we were attending the yoga course, and we got VIP seats, right beside the stage. It was a fabulous concert. 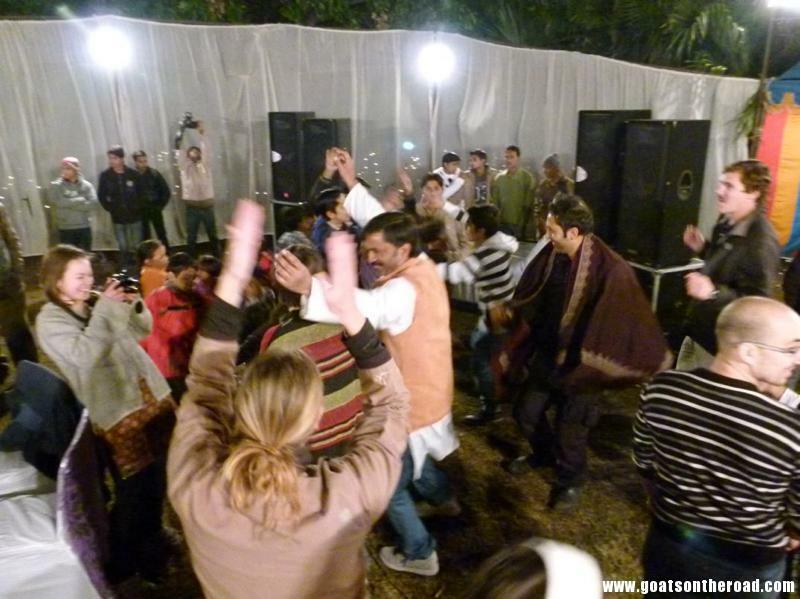 We were also invited to an Indian wedding party on the Ashram property. One of the men who works there was getting married. Day #1 of the 6 day wedding ceremony is full of food and dancing…and again, our yoga class was invited! We devoured all of the amazing Indian sweets, fruits, drinks, thick, flavourful curries and all kinds of breads. 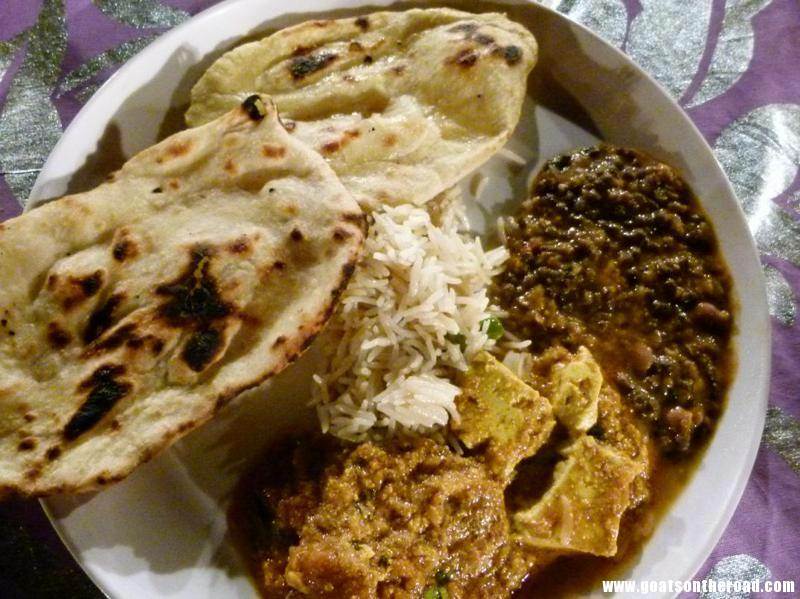 The food at the Ashram was quite a bit different than the wedding food. It’s vegan and no onions or garlic are allowed to be used. We were all scarfing down the food like we hadn’t eaten in years. Sadly, it all had to come to an end. Staying at the Ashram was one for the books, one of our top experiences so far. We learned how to quiet our minds and turn inwards…introspecting as Pujya Swamiji would call it. We learned the history and the basics of yoga, the real yoga. In the West, yoga is typically performed in order to tone the body or to lose weight. In reality, there is so much more to it than that. We learned that yoga is a state of mind, a way of thinking, a way of breathing, a way of eating and basically a way of life. The asanas (postures) are just a small part of it. We also learned and started to understand the Hindu religion and the ancient Sanskrit versus. Many of the teachings we could relate to, others we just took with a grain of salt. But most importantly, we became healthier. Nick’s posture is improving each day and he can now touch his toes!! Something that hasn’t happened in 10 years. I was able to learn more about yoga and apply those teachings to what I already knew. As a couple, we have grown and are helping each other with introspecting, focusing our minds and continuing with the yoga practice. Deciding to do yoga in India was one of the best decisions we’ve ever made. We said our goodbyes to our new community and friends and headed back into ‘real’ India. Back into the loud and hectic streets, a world away from the peacefulness of the Ashram. We hailed a tuk-tuk to take us to the bus station, took an hour bus ride to the Town of Haridwar, and then boarded a 6 hour train back to Delhi. 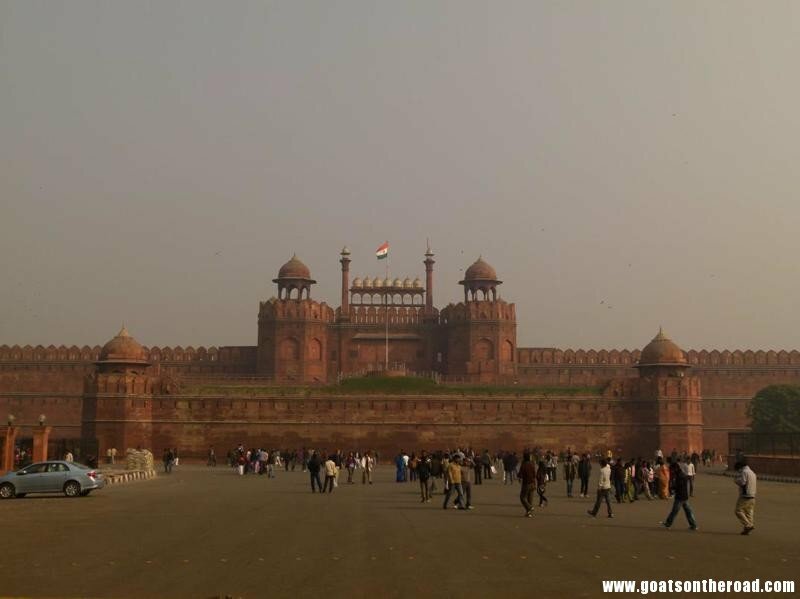 We had two nights in the capital, which were spent roaming the streets and seeing the impressive Red Fort. We also spent a few hours at Domino’s Pizza having pepperoni pizzas! We were in need of some cheese and meat after eating vegan for 3 weeks. It was a delight. India has impressed us yet again, opened our eyes even more and forced us to grow. India has that effect on most people. It draws you in with its sights, its food and its exotic feel, but you end up coming back for the people, the experiences and the opportunities around each corner. 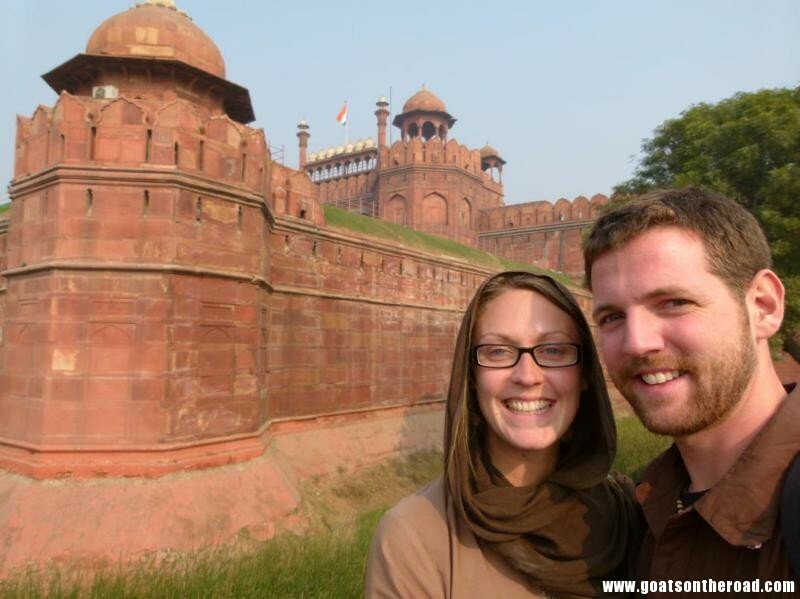 One of our favourite things to do in India is to “just sit back and let India come to us”. Even though we’ve spent over 5 months in this beautiful country, we will be going back, it’s just a matter of when. We were back in Delhi to fly out to Thailand to spend a few days in the crazy, funky, liberal City of Bangkok…a place we know very well. 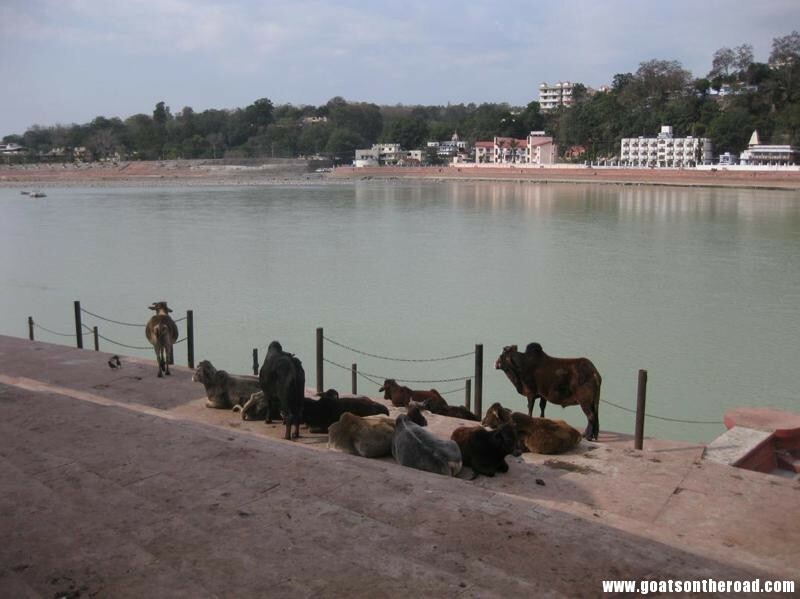 The cost at Parmarth Niketan depends on what you want to do. While it’s technically “by donation” a minimum of 400 rupees ($7.50) / night is all but required. 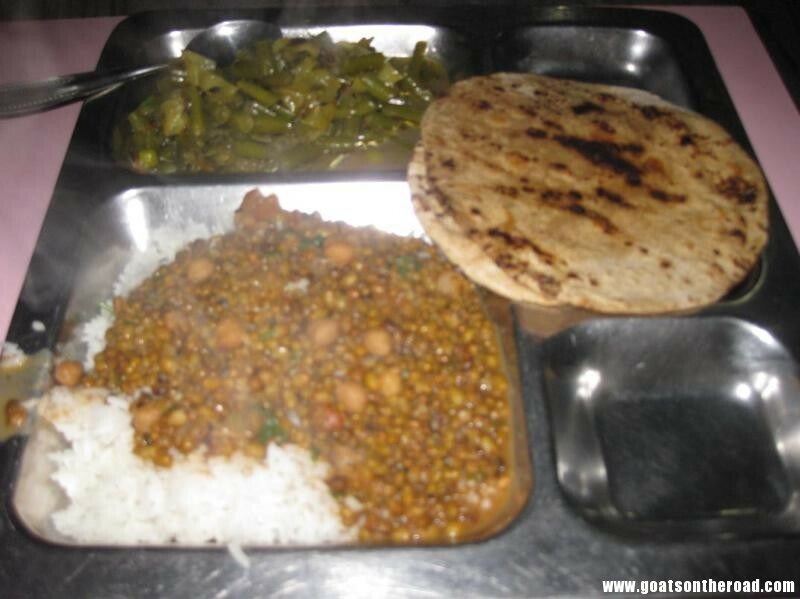 This will include a double room, daily yoga and 3 meals a day (garlic & spice free holy vegan food can be a bit bland). If you want to sign up for a Yoga course (well worth it), you’ll probably pay around 600 rupees ($11) / night. There were some great local and foreign staff when we were there, if you call or just show up they can help you with everything. If you do a course, you’ll be expected to wear long, flowing all white yoga suits so factor that into the cost ($10 for pants and shirt at the market). I would recommend contacting the Ashram here: http://www.parmarth.com/contact.php and asking them about current costs for what you plan to do. Good luck and enjoy! 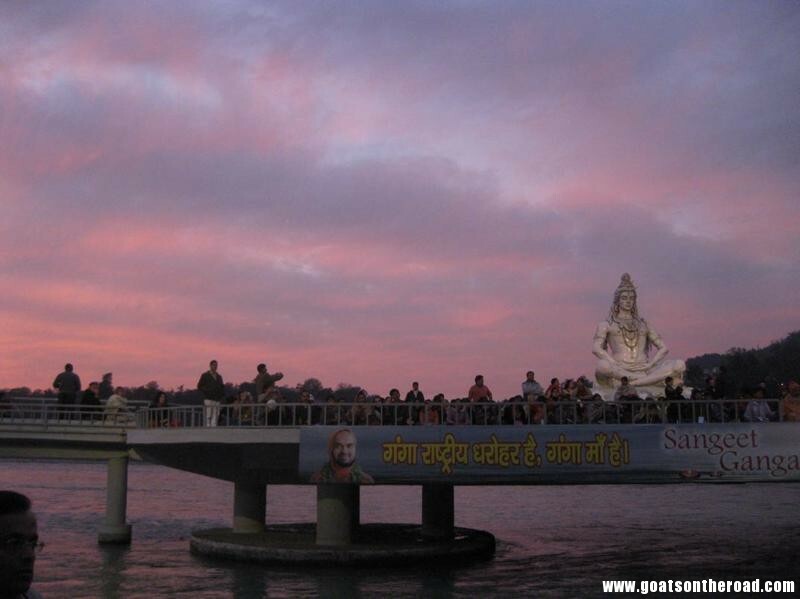 A good article which I enjoyed reading having travelled India intensively over many years. Bit disappointed that you went back on the meat after spending time studying yoga. You would know from your course that yoga is rooted in Ahimsa and you can live a healthy life without eating dead animal. Hope you decide to live yoga as a lifestyle without meat . NAMASTE. Hey thanks for your input about your experience! I am looking into doing one soon so I was just browsing the internet for advice. So interested to read every article you write! I want to ask you how do you guys usually find places where you want to stay at or visit? Are they recommended by others, is it a random pick or thoroughly planned research? Thank you so much for reading Anya we look online at booking sites, we read travel blogs, check out guide books, ask locals – it’s a mix! Hi Dariece, I really enjoyed reading this post! 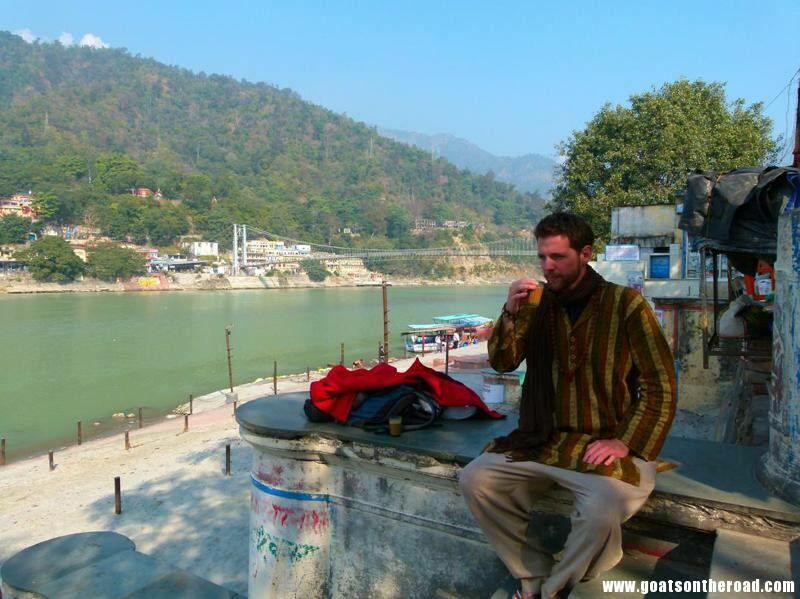 I visited Rishikesh last year which was a life-changing experience (not always easy but definitely rewarding)! I’ve had a lot of time to refllect on it recently and have been craving more India. Similar to you I’ve known I’d go back soon, but was always a question as to when… I just decide to do a retreat in Kerala and will spend a few nights at an ashram. This will be a first for me, but reading about your ashram stay is making me very excited! Thanks again for sharing.